Property Has Three Entrances Frontage to N Moorefield, Has Canal In the Back Perfect For Development, But Also Perfect For A Business That Needs Land And Office Building (trucking company) Because Of Its Location and Quick Access To HWY 107 and Mile 7 (Widen like HWY 107)....................................................................................................................House Sits On Aprox 2.7 Acres. 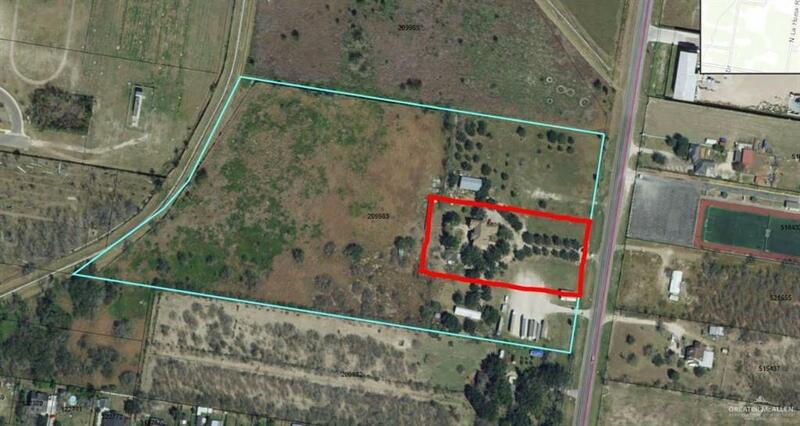 Vacant Land Aprox 17 Acres Can Be Sold On Its Own If Interested. ..........................................................................................................................................................Property Can Also Be A Luxury Ranchette as it offers A Large Home With Custom Wood Work Throughout, Crown Molding, Decorative Wood Paneling, 4 Bedrooms/ 5 baths. Each Bedroom with its Own Full Bath, the Master has Two Full Bathrooms. also 2 half baths in house and 2 half bath preparations outside. Plus a Three Car Garage and Gazebo with BBQ Chimney. Listing by Carminia Martinez of Bic Realty.